Chinese new year spring cleaning tips. 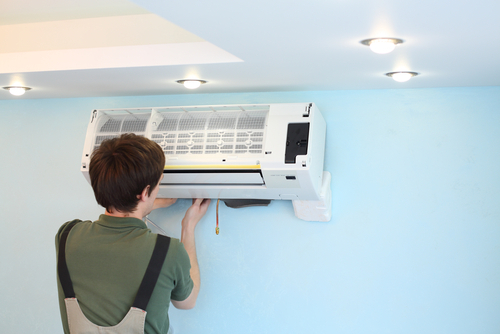 Before installing an aircon in Singapore you must know what it is and what you can learn while installing a new one. An aircon is a device that helps in maintaining humidity within a building by eliminating excessive humidity from it. It also helps in supplying adequate ventilation along with removing dust, micro-organisms, pollutants, soot and other harmful elements efficiently from the premise while cooling or heating it according to the need of the season. One can learn a number of lessons during new aircon installation. Brief information about some of these lessons is provided here under for your consideration. During aircon installation you learn about its working. Main purpose of installing an aircon in Singapore is to cool your home by moving out the heat inside it. It pulls out the heat from the air which it blows in your home to cool it. It blows the air on the cold pipes of evaporator coil filled with refrigerant to cool it. This cool feeling is just like you feel when the water on your skin evaporates. The liquid refrigerant in the evaporator coil absorbs heat from the air by changing into gas form which gives up this heat by pumping to another coil known as condenser to change the gas again into liquid form. The pump used for this purpose is known as compressor which is run by a motor to help in changing the pressure of the refrigerant to condense or evaporate the entire refrigerant in the right coils. In this way you aircon works by changing liquid refrigerant into gas and back to liquid to cool the building with the help of condenser and compressor. The term Ton is used in Singapore to describe the size and cooling capacity of an aircon. Initially, before the invention of air conditioning machines, blocks of ice were used to cool any place. But after the invention of air conditioners, the quantity of the ice in Tons required for providing equivalent cooling was initially used for describing the capacity and size of the machine. Today BTU is also used instead of Ton in various countries for this purpose. What affects the working of the aircon? During aircon installation you also learn about the things that affect its working. The complex mechanical system of aircon depends on various factors for its proper working, like furnaces. They are designed to cool your home according to its requirement by blowing certain amount of air over the coils to cool down with the help of a certain amount of refrigerant. This system experiences problems in working properly if any of the things used for this purpose change. Your air conditioner may not work properly if you produce more heat within your space than its capacity due to any reason. It may also not work efficiently if its refrigerant leaks out due to any reason. It will lower the cooling as the system will not be able to cope with the heat produced within the premise. The capacity of the air conditioner to give away the heat reduces and slows down the system if the outdoor temperature is high and airflow across the condenser reduces. A filter is used over the evaporator coil of almost every air conditioning system in Singapore. A folded or fuzzy paper filter is fitted in special slots or in the return grille of the duct of this system to remove dust and dirt particles from the air received by it from outside to keep the system clean. This filter gets loaded with dust particles while working properly which in turn affects its efficiency along with reducing the flow of air and increasing resistance in the system. The time to change the filter is when such things happen in your air conditioning system. The time taken for affecting the working of the filter depends on the size of the filter and the amount of dirt in the air. The flow of air in your aircon slows down and affects its performance if its filter is not changed when required. Along with affecting the cooling your filter can pollute the air if it is too much dirty. The problem of air flow can be resolved easily if you completely take out the filter of your air conditioning system but this success can be temporary. It can deteriorate the working of your evaporator coil as the particles filtered by the filter will now accumulate on it. So it is wise to change the filter as and when required to maintain the efficiency of your cooling system. You can handle the routine maintenance of your aircon like changing its filter etc. yourself but you may need the help of professional service provider in case of major problems in it. 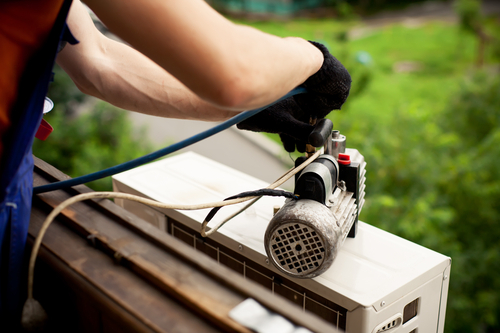 You may require the service of a professional for brushing out the obstructions and dirt from the drains and coils of your cooling system before the start of every season, depending upon its use and size. If the production of the cold air is below normal then there can be problem in the airflow of the cooling system or filling of refrigerant which can be done properly only by a professional service provider. You can also learn about the importance of ducts in the working of the cooling system during aircon installation. Any leakage in the ducts of the aircon can affect its production of cold air. Even a well-operated air conditioner can waste 20-40% energy due to the leakage in its ducts passing outside the space cooled by it. So to avoid such energy loss outside ducts should be insulated effectively after sealing their leakage. You can seal and insulate the ducts yourself if they are easily accessible otherwise you can hire the services of a professional. 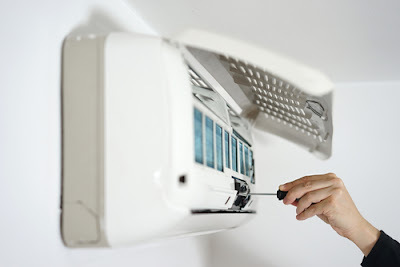 Thus during new aircon installation at your home or office in Singapore you learn a number of things. This information can help you in maintaining your aircon more effectively.